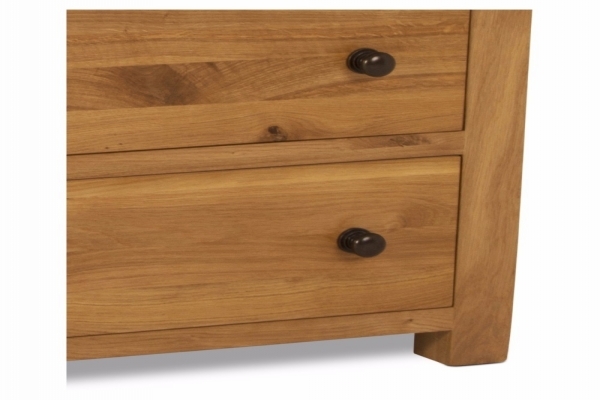 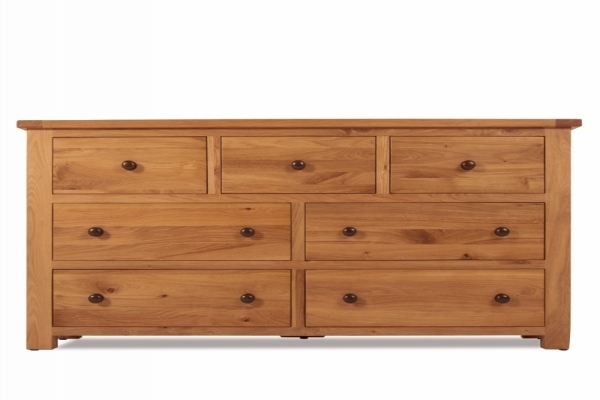 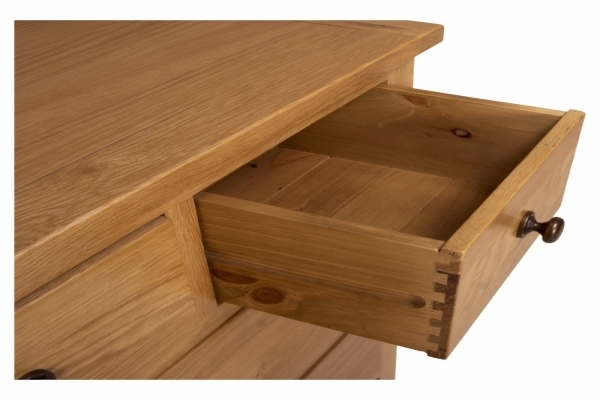 The Allendale wide chest of drawers is finished in solid oak with oak veneers. 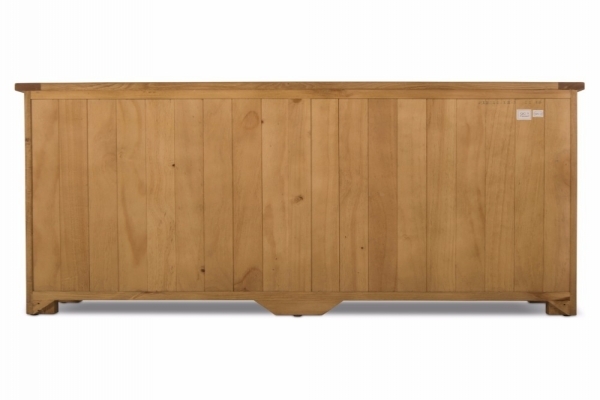 It features striking heavy round brass knobs. 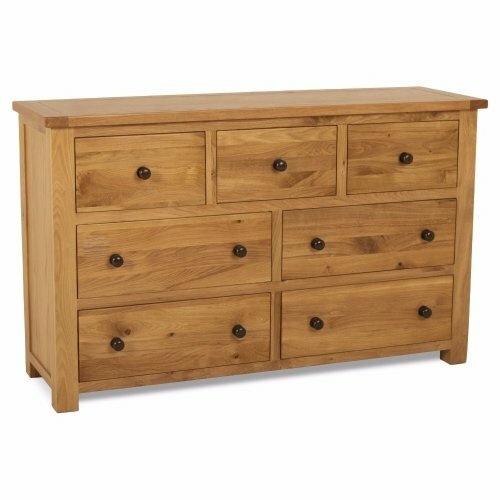 Whilst the chest matches other pieces in the Allendale range, it also suits a wide range of decors. 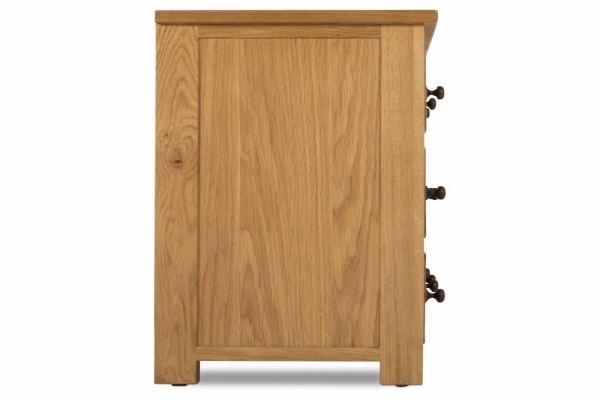 This beautifully crafted piece of furniture is delivered fully assembled to your home, for your convenience.